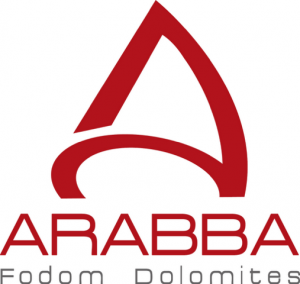 From Arabba take trail 638 (in front of Garnì Ru de Mont) and follow it as far as Campolongo Pass (road 244). Leave the asphalt road in front of Hotel Monte Cherz and take the dirt road on the left (trail 636) as far as the Bec de Roces refuge. Follow the trail leading quickly to the characteristic Bec de Roces towers, which can be seen on the north. It is possible to walk around or through them. After the towers one reaches a characteristic square rock with remains of shepherd fences; just above it (on the East) keep following trail 636 under Col de Stagn. 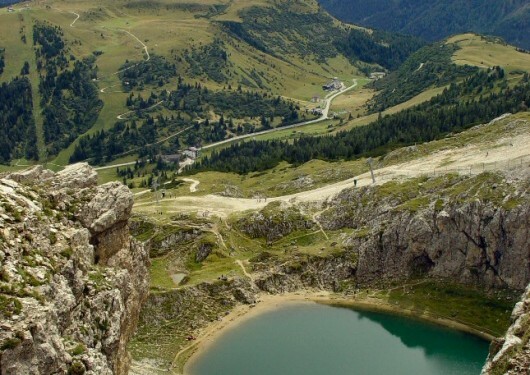 The trail easily goes up a mountain side and through Plan de Sass, until it meets the ski slope descending from Valon to Corvara. After crossing the ski slope, one reaches the Boè Lake, which is located inside a deep natural pothole and therefore not easily visible. To get back, reach the chairlift departure station and then trail 638 to Campolongo Pass. (about 4.00 hrs, maximum altitude: m 2260 – Difficulty: easy).